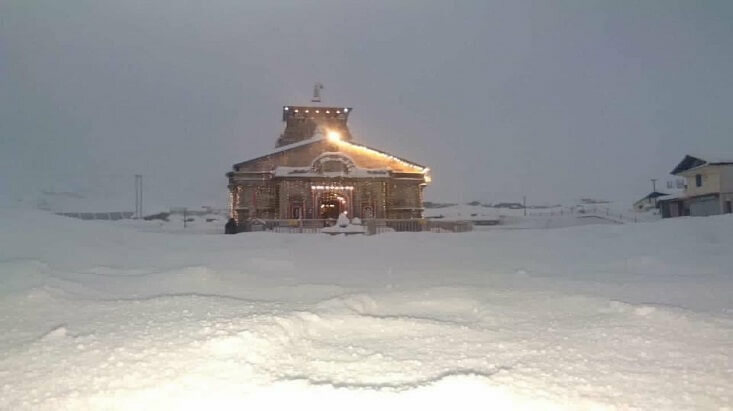 Kedarnath Dham in Uttarakhand turned white as the region experienced another day of snowfall. 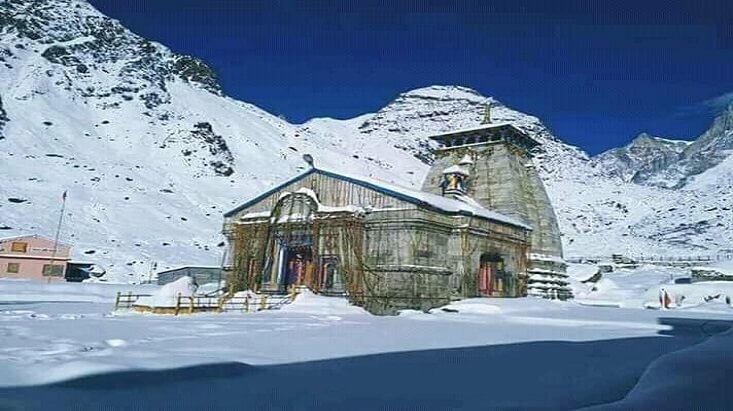 On February 5, the regions around Kedarnath temple witnessed fresh snowfall. The state of Uttarakhand has been witnessing heavy snowfall over the month of January and the trend has continued in the month of February too. The Hindu temple dedicated to Lord Shiva is nestled in the Garhwal Himalayan range. The region has been witnessing snowfall over the month of January. The temple has been covered in white snow sheet and yesterday the temple complex witnessed another day of snowfall. Earlier it was reported that the temple is covered in 8 inches of snow, which was being cleared out earlier. The snowfall in the Rudraprayag district was followed by a dip in temperature. The state continued to shiver after the snowfall and the roads leading to the holy shrine was damaged because of avalanches and heavy rainfall. 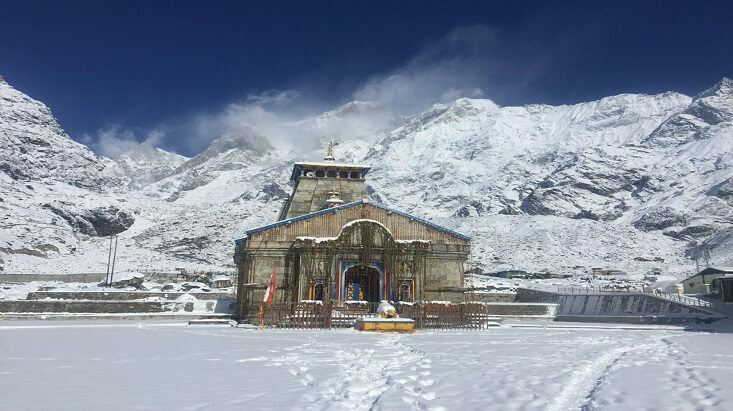 The Kedarnath Dham weather department has warned residents of a high chance of widespread snowfall in Kedarnath and rainfall with isolated hailstorms in the state, over next two to three days. Last week, reconstruction work in the Kedarnath Char Dham was suspended after the area was hit by snowfall, with authorities struggling to rescue the stranded tourists. It is said that the heavy snowfall in the region has also affected the supply of electricity to the area and communication system in the region has also been affected. After the winter season in the region gets over, the temple would prepare itself to host for the Kedarnath temple Yatra, one of the four Char Dham Yatra of Uttarakhand. The tentative opening dates for Kedarnath Temple for 2019 is 9th May 2019. The temple complex can be reached from Gaurikund. From Gaurikund, the pilgrims need to trek for 13 km to reach the temple complex. Trekking in Kedarnath is moderate, however, you can hire a porter to take you to the temple complex. Gaurikund is well-connected by road. The nearest railway station lies in Rishikesh/Haridwar and the nearest major airport is in Dehradun.